For my collage of happy. 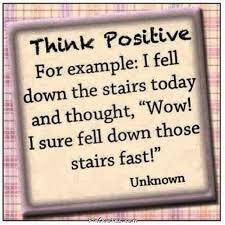 I like the way a positive thought can carry me through the day. Even a rainy day. I have found that if I start off my morning with good thoughts (and prayer), chances are the rest of the day will feel pretty good. Of course, there are glitches: watching or reading crazy news doesn’t help; dealing with difficult people doesn’t help; worrying doesn’t help. Sometimes I have to keep flipping on that “good thought” switch to reframe my state of mind. But, whatever, I’ll do that as many times as I need to as long as I can rid myself of negativity. It’s true that there are times when circumstances beyond our control take over our minds and gloom sets in. The stars don’t always align for us, do they?. We all have those days. But, I believe positive thoughts attract positive circumstances, so why not inject a bit of happy into our brains anyway? What do we have to lose? I’ve created a “collage of happy” I use for such times. A group of snapshots of funny, special, and perspective-filled memories I am grateful for, and I picture them often. Because I tell you what, nothing drowns out negative thoughts like gratitude, as I have learned. So, let’s think good thoughts. Let’s remember what lifts us. Let’s be thankful. Let’s kick our day into gear with positive thoughts, prayer, and happy memories, and see what a difference that can make. For my collage of happy, today and always, I am thankful. Yup, I couldn’t agree with you more. Your message is right on target! Thanks – I agree with you! Needed this today! Thanks for being a ray of sunshine!